Hi! In this short tutorial, we will explain you how to change the number of customer reviews displayed per a pageview. 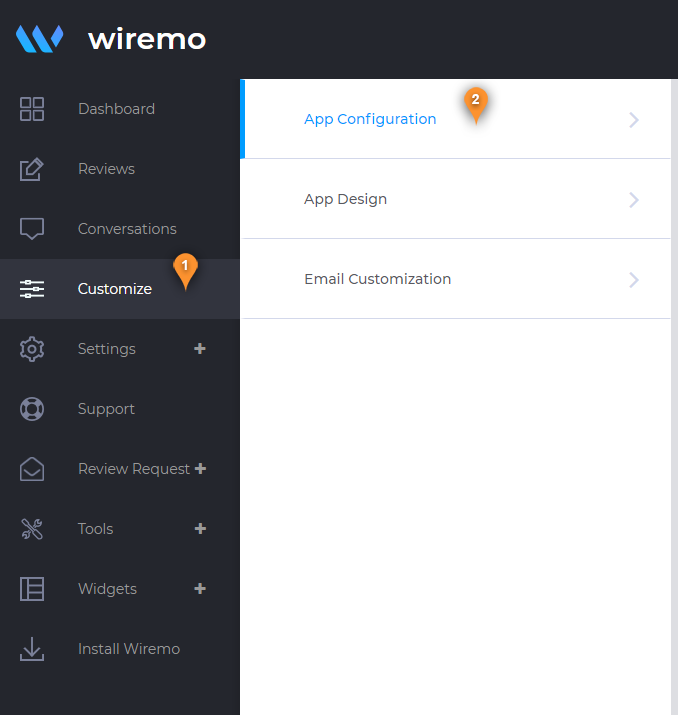 To change the number of reviews per a pageview, please login to Wiremo Dashboard, go to "Customize" (pin 1), then choose the "App Configuration" section (pin 2). Scroll down and find the slider “Number of reviews per view:”. Move the cursor and select the desired number of reviews per a pageview, then click on the “Save” to save the changes.